Good as new!!! Why wait for your dream home to be built?!? It is here - ready to move in! Beautiful neighborhood w/a community pool, splash pad & playground! Or spend relaxing summer nights next to your own private pool while cooking up a fantastic dinner in your outdoor kitchen - complete with a dual gas burner, grill & egg smoker!! The pool side gas fire pits set the relaxation mood! This home has it all! Are you a sports fan? The game room is wired for up to 6 tv's which are negotiable w/sale or watch on an outdoor tv from your private hot tub! Surround sound??? Of course! Outdoor bathroom to keep the house dry...but don't worry. There is new waterproof & scratch resistant vinyl-wood plank flooring inside just in case! This home has it all!!! 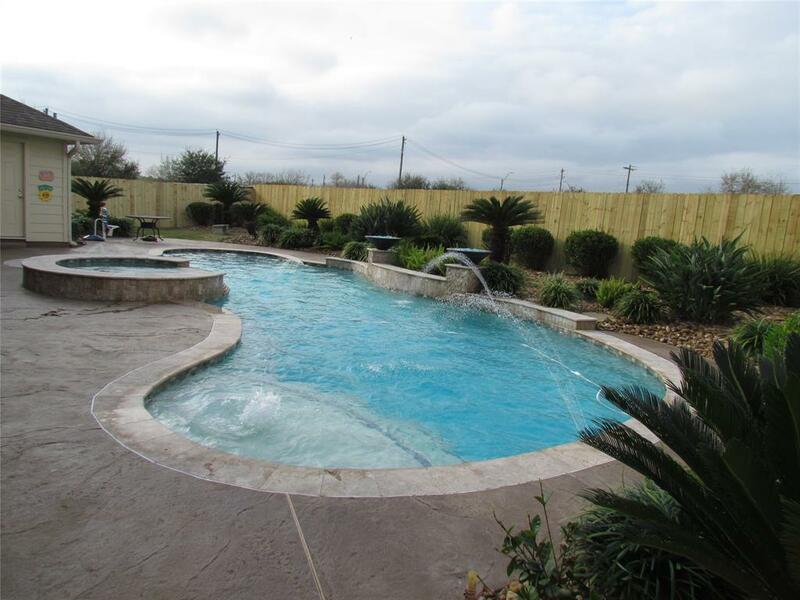 Granite, Jacuzzi tub, huge closets, plenty of room, fabulous neighborhood, sprinkler system, exterior lighting, new pool pump & DID NOT FLOOD IN HARVEY! Hurry & spend your summer 2019 in this private oasis!!! Listing courtesy of Houston Realty.